Go directly to the boarding area of the PARISCityVISION boat, La Marina, located on Quai Anatole France, Port Solferino, just steps from the Musée d'Orsay. 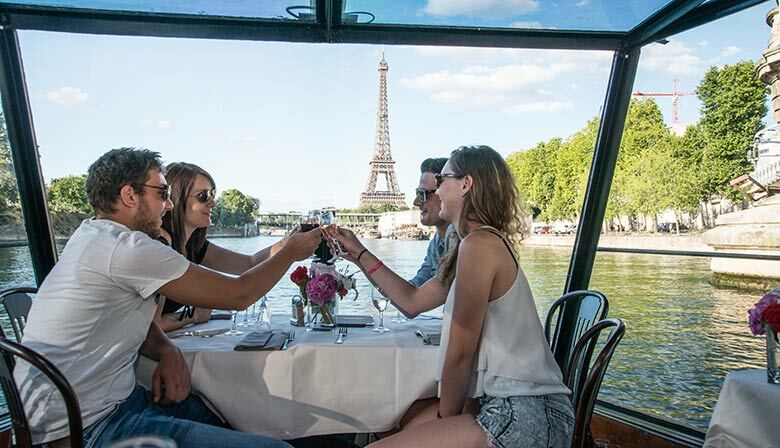 Our team will welcome you aboard the boat-restaurant for an unforgettable lunch cruise along the Seine. Lunch cruise fare felf a bit snubbed mant served seem to have to ask for help often from server. Unclear other items water Tea not included til bill came. Sat me at a windo with cracked glass when asked another seat nearby wanted 10euros extra. Excellent trip. It was a very hot day, but the temperature on the boat was perfect. The food was high standard and the service was first class. I would highly recommend it. Very good value for money. The cruise in good condition, friendly staff, okay food. The view is superb. While going to the back for restroom, noticed the space to be very stuffy. Many elderly guests seated there and they were using pamphlets as fans and looked very hot. Exceptional food, great service, just sit back and enjoy what Paris has to offer!